These days you don't need access to fax machine to send a fax. 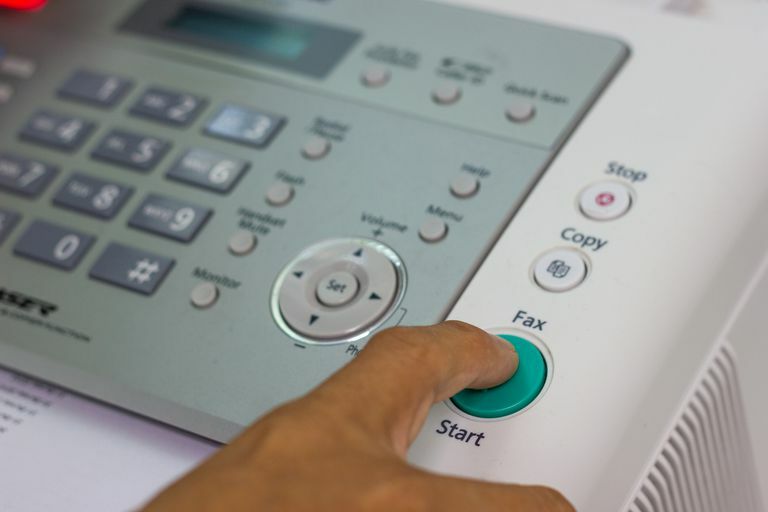 We all probably thought faxing would be over by now, and yet there are still times when we're asked to fax an essential document. Fortunately, even if you don't have a fax machine, there are still ways around having to send a fax these days. While you shouldn't need your own fax machine to fax a document, you'll still likely need a valid email address, and either a mobile app service or access to an online faxing service. Here are three ways to email or send an online-only document to a fax number. A screenshot of FaxZero's online fax submission form. FaxZero is one of many free online fax services that will allow you to send documents and a cover page to a fax number by filling out a simple form on their website. While FaxZero does offer free faxing services, there are restrictions. Free faxing is only available for faxes sent to locations within the United States or Canada, and you can only send five free faxes per day, with each fax containing a maximum of three pages, not including your cover page. FaxZero also offers paid faxing services: international faxing and a premium faxing service called Almost Free Fax. The fee per fax for international faxes varies greatly depending on which country you're faxing to. For example, sending a fax to Iceland is $1.99, while sending a fax to Burundi is $25.41 for the same maximum number of pages allowed in a fax, which is 15. The Almost Free Fax service is $1.99 per fax and offers benefits such as a 25-page maximum per fax sent and the removal of FaxZero’s branding from the cover page. Go to FaxZero’s website. The web address is FaxZero.com. The form you’ll use to submit your fax is on the front page. Under Sender Information, fill in the blank fields marked for your Name, Email, and Phone number. Under Receiver Information, fill in the blank fields marked for the receiver’s Name and Fax number. Within the section labeled Fax Information, you can upload the files you need to fax by selecting one of the Choose Files options. Make sure your document is one of FaxZero’s approved/supported file types: Microsoft Word (DOC, DOCX, or RTF), PDF, PNG or JPG image files, Excel (XLS or XLSX), TXT, TIFF, GIF, Powerpoint (PPT) or HTML. Once you select Choose Files, you'll be prompted to choose a file from your computer to upload. Select your desired file and then select Open. After you’ve uploaded your desired document, you can type a message for your cover page in the blank text box section, located below the Choose Files section. For the next blank field, marked Confirmation Code, fill in the blank with the randomly generated code that is underneath this blank box. To submit your now completed fax submission form, select either the Send Free Fax Now option or the Send $1.99 Fax Now option, depending on your faxing needs. After submitting your form, you’ll be emailed a confirmation message from FaxZero. Receiving this email is important, as it contains a confirmation link you must click to send your fax. Once your fax is sent, you’ll be sent another email informing you of whether or not it was successfully delivered. FaxFile's main screen, which is used to compose a fax. If you don’t have access to a computer, but you do have access to the files you need to fax via a mobile device, then a faxing mobile app service may be the best option for you. FaxFile is a mobile app that allows you to fax documents and images directly from your smartphone or tablet. This app supports the faxing of PDF and Microsoft Word (DOC or DOCX) files, and image files (PNG and JPG). While FaxFile itself is free to download, in-app purchases (called fax credits) are required to send faxes. Faxes sent to locations within the United States and Canada require the purchase and use of 10 credits per page, per recipient. You can buy a pack of 50 credits for $2.49. FaxFile also offers international faxing, but you’ll want to check their list of fax rates to make sure they'll fax to your desired country, and to see how many credits it will cost to do so since the prices vary greatly depending on the country you choose. The FaxFile app is available for download for Android and iOS devices. A screenshot of eFax's monthly membership sign-up webpage. There aren’t any free or low-cost options for using their faxing services. The monthly membership prices are a bit expensive for people who don’t fax that often. Like FaxZero, eFax is another online faxing service. Unlike FaxZero, eFax only offers its faxing services through a paid, monthly membership. However, what makes eFax particularly notable is that once you do sign up for a membership, it allows you to email to a fax number by just composing a regular email. Once you set up your eFax account, you’ll log into your email account and compose a new message as usual. You’ll still attach any documents or files as you normally would and your cover page will be whatever you type in the body of the email. Of the three services listed here, eFax allows for the widest variety of file formats to be sent. When you’re ready to send your fax, you’ll just type in your recipient's fax number with the domain "@efaxsend.com" added to it, then you’ll hit Send. That’s it. However, the price of a membership with eFax is a bit hefty, especially if you don’t plan on faxing that often. eFax offers two membership levels: eFax Plus and eFax Pro. The Plus membership requires a $10.00 setup fee and a monthly fee of $16.95. This membership allows you to send 150 pages for free per month, with additional pages costing $0.10 each. The Pro membership is $19.95 per month with a $19.95 setup fee. The Pro membership allows 200 pages to be sent for free per month.